This listing is for a pair of vintage padlocks with keys. 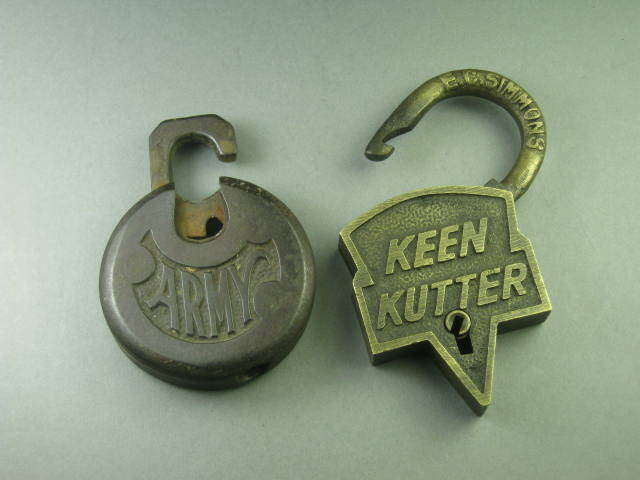 One is a U.S. Army lock that is probably from WW1 or WW2 based on our research. 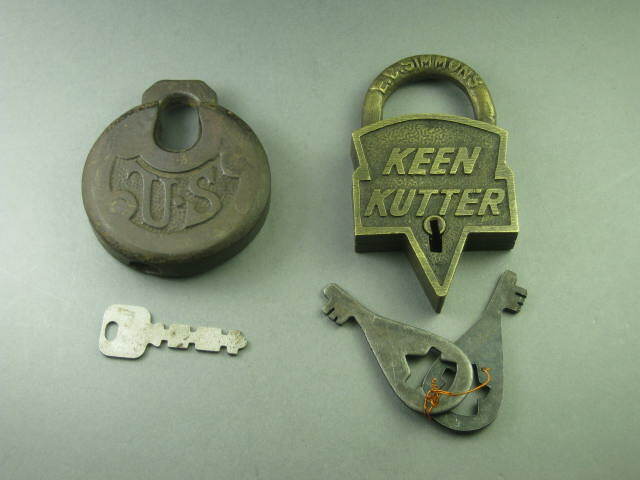 The other lock is a Keen Kutter that's marked "Santa Fe" on the back and has "E.C. Simmons" and St. Louis, U.S.A" on top. 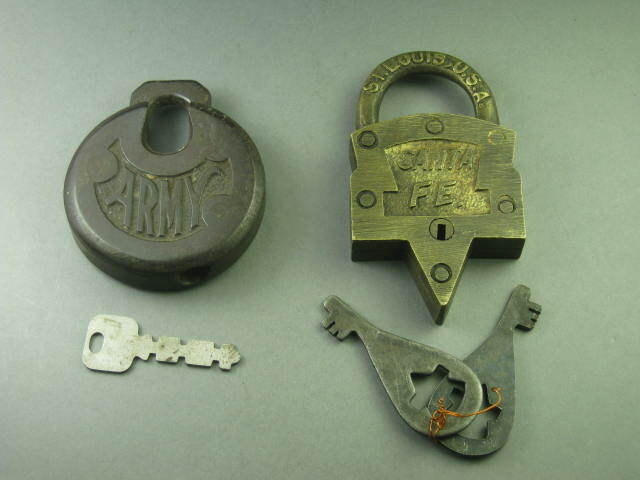 Based on our research, this lock may be a replica or reproduction of the original. Both locks have scuffs and wear and they lock and unlock with the keys. This listing has no reserve price so don't miss your chance to win!